Do You Have This One Quality That All Men Crave? I am a love coach and off late, I’ve been having a rather bumpy ride with my private coaching clients. Maybe it’s something in the air, but so many of them are going through heart-break, so many of them are unhappy with their current job situations and so many of these otherwise young, beautiful, talented women who should be celebrating life and love, are complaining instead about how life and love looks for them. Some of them are even on the threshold of wanting to give up. Of course, as a love coach, my job is to not let them give up. As a love coach, my job is to stand by their side and make them see the light at the end of the tunnel, which I know is there, but which they can’t see for themselves right now. And yet, on some days it feels draining. It feels draining to deal with so much negativity. It feels draining to constantly try to convince a woman of her own worth that she is simply not ready to embrace, to stop her from beating herself up and to remind her that this attitude of negativity that she has embarked upon, sends quality men (even women for that matter) running miles AWAY from her. In other words, her negative attitude does not serve her and it works against her dream of having forever love. Imagine you go out for a drink with a couple of your friends after a hard day’s work. You want to unwind, relax and have a good time finally! On your left sits Cutie – She looks radiant, is well dressed (she likes to take care of how she presents herself in the world) and smiles with an open heart. She represents a calm, self-contained, self-happy energy. It is not that she doesn’t have her challenges (who doesn’t?) but she doesn’t like to dig into them. She knows that focusing on the bad stuff just attracts more bad stuff into her life (Law of Attraction). She listens keenly to you and doesn’t want to dominate the conversation and just talk about herself like most other people do. Of course, you try to be a good friend but tell me very honestly, which personality attracts YOU more from deep within you? The calm, self-contained Cutie or the loud and complaining Sweetie? My guess is that you too, just like me, would feel more drawn to Cutie, who at least tries to focus on the positive, on what is good in her life. Her calm and soft energy is luring and attractive. Forgetting about seeking calm from you, sitting next to her calms you down. This, my sunshines, is human nature. We all love people who can be positive. Men, too, are no exceptions to this instinct. They love women who talk more good than bad, more joy than stress, more fun than problems. Step 1 – Become aware that you are being negative. Might sound frivolous, but so many women are on a negative auto-pilot that they don’t even realize that the energy they are exuding in the world is negative. Step 2 – Flip it into something positive. In psychology, this is called the power of “auto-suggestion.” Give yourself an auto-suggestion about something that is good in your life. It could be saying a thank you prayer for what you are grateful for, it could be thanking God (if you believe in one) for giving you a healthy functioning body. Step 3 – Live from that energy out in the world. Once you fill yourself up with positive affirmations and good feelings, now go out into the world and take that energy with you. CHOOSE smiling over complaining, CHOOSE saying something positive about yourself than negative, CHOOSE listening to a Katy Perry song over getting stressed when caught in the traffic jam. Being positive is attractive, because nobody wants to hire a potential partner who will only bring whining and complaints into his life. Let’s face it. Happier people are more attractive people and this gives you a very solid reason to go out and live in this world from a happy place. I know life isn’t always easy and yet we always have a choice. To keep our hearts open or to get embittered? To smile or to cry? To focus on what’s good or what’s bad? Focus on what´s good, stay in joy and I promise you that more and more joy will enter your life. 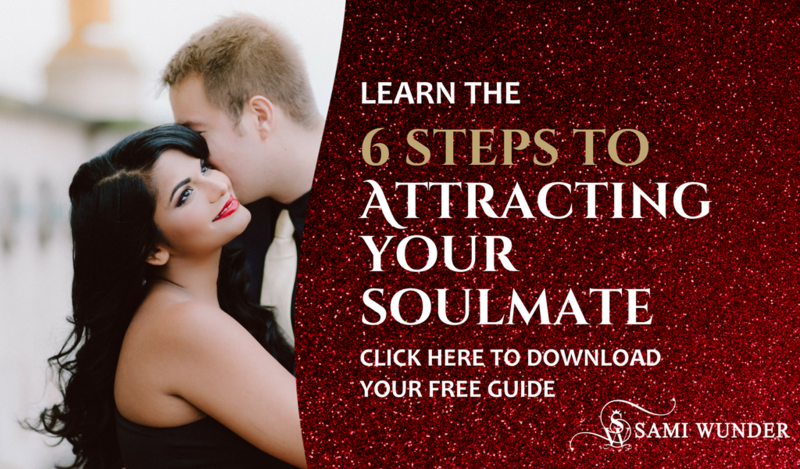 To help you with all this, I’ve created my special Diva In Love, Diva In Life affirmations audio – hundreds of women around the world are using it to stay in a high-vibe positive place!